What are your beliefs about the nature of God? - Soviet-Empire.com U.S.S.R.
What are your beliefs about the nature of God? What are your beliefs about the nature of God? Please check two! God is an all-knowing, all-powerful, and all-loving Creator. God is an all-loving Creator who nevertheless does not possess ultimate knowledge and power. God is an all-knowing, all-powerful Creator who is evil. God is the Creator of the Universe, but He cannot be condemned so absolutely. He possesses elements of both good and bad. "God" is either impersonal or removed from Earth. It cannot be condemned as an active, sentient personal identity. I believe I will spend eternity in Paradise. I believe I will spend eternity in torment. Wakizashi, as long as you're not trying to impose your religious beliefs onto others, then there's absolutely nothing wrong with being a Muslim. I lived for 10 years in Lebanon growing up and spent the single most exciting year of my life in West Beirut, the predominantly Muslim side, so I know what life is like among Muslims better than most people here. Furthermore I know what it's like to be an atheist among Muslims. When I was living in Kiev, every year I was invited to feast in Ukraine's biggest mosque by some of the Sheikhs, them fully knowing that I am atheistic. I wasn't even required to pray along with the crowd as I was permitted to sit aside and just watch. Can you imagine what it's like being the only one not praying among a crowd of thousands? Still they treated me as one of their own. In Lebanon mosques give out thousands upon thousands of scholarships to poor Muslim youths who are trying to obtain a higher education, be it inside the country or abroad. They also invest immensely in the development of communities. The Islamic Empire achieved tremendous strides in every facet of human achievement, as well as developed the very first institutions for higher learning, i.e. universities. Muslims invented algebra (Al-Jabr in Arabic), laid the foundations of modern chemistry, helped develop the numerals we all use today, translated and spread the works of the Greek philosophers etc. The great Arab leader of Kurdish ethnicity Saladin, is so revered in the western world as one of the most righteous and merciful political leaders of all time. Dante Alighieri, a devout Catholic considered Saladin an equal to historic giants the likes of Homer and Julius Caesar. Today there are many Muslims that win Nobel prizes and are currently achieving great things in the realm of medicine in the form of stem cell research. All in all it's quite acceptable to be Muslim and socialist, as long as one remembers never to harass others with religious scripture, lest you become a cause for Islamophobia. Live and let live baby! Live and let live! To support your contention, Yeqon. I see the speck in my eye. I used to have the same kind of thinking like the groom until I matured and realized it was so repulsive. May Allah have mercy on me and forgive me. (assuming there is Allah). You don't need to be supporting any sort of theism. Even the most mild variety is still built on superstition, ignorance, and fear. Why can't you just let go of it? It won't do you any good once you're gone, since there's nothing there. Bottom line: The study of religion yields valuable anthropological, cultural, and political insight. The present practice of religion is valueless unless you're in it for kicks, and fully cognizant of that fact. Anything more than that and you're overrating it in a dangerous manner. What is so hard to understand for you about the concept of free choice? Or about the fact that ones actions in daily life and ones faith are two different things? I don't "need" theism as a way to be a moral person. 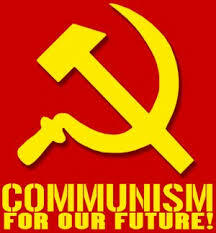 For most of my moral compass, I rely on myself being a Communist, as I have done for years. On a material level, one does not need to be any specific faith to be moral. Nor does one need to be an atheist. Some of the world's biggest crooks are Christians; some are Muslim; some are atheist. That has nothing to do with moral superiority. The constant claim of moral or ethic superiority that Western atheists love to claim for themselves is quite simply disgusting and sickening. And entirely unbased in material facts. The fact that I won't "let go of it", is because I believe in something. Just like you believe in the non-existance of a God, I believe in the existance of one. It's that simple, and you can't just expect people to "drop it". That would be exactly the same as expecting atheists to suddenly start believing, just like that. It's stupid, it's counterproductive, and it's downright reactionary. There is a Martin Luther King, there is a George W. Bush. There is a Malcolm X, there is an Osama bin Laden. There is a Fidel Castro, there is a Bill Maher. You have good Christians, you have bad Christians. Good Muslims, bad Muslims. Good atheists, bad atheists. Gulper does believe in God. His problem is that he thinks God is an Orthodox Christian, and tries to hide his bigotry under the guise of being a rational atheist. No comprende, Senor. Non sequitur. For the record, I've never been attacked by a Muslim, but an Orthodox priest (now a major bigwig in Philly) and several of his flock did send my eight year old self a message I certainly have never forgotten. Sometimes these are tactics of some men of God to pit us against others or each other, comradeGulper. Remember the teenager who was molested by her grandfather and 'does not believe in God anymore'' Remember also the millions of students who were molested by homosexual Jesuit priests because their parents tend to believe in Leftism? If God were to judge her and her grandfather or the molested and the Jesuit priest, where do you think God's heart will be? I am sure towards the teenager and the molested. God does not condemn. God is a very understanding God. Ok, so first off I'd like to say that reciting a few powerful words of Hebrew scripture to incite bravery within oneself does not automatically make me theistic. As someone who's been atheistic for as long as I can remember, I've always approached religion the same way I do any other piece of literature, i.e. as something to be read as a work of fiction (albeit based on pieces of historical fact here and there), and to be enjoyed as such, quoted and discussed based on ones fancy. Moving on, when I said you thought God was Orthodox; well to be honest that was just a feeble attempt at busting your chops, although the reason behind it is sincere. As an atheist I know that my atheism is accompanied by a certain indifference towards all religions as a practice. I stress as a practice so as not to confuse my feelings towards religion as an institution or a work of imaginary literature which are quite negative and positive respectively. You on the other hand with your love for everything Byzantine, carry significant illogical hate towards everything Muslim in particular, and that is the perfect definition of bigotry. If you were to attack other religions with the same intensity as you do Islam, then debating you would become more difficult, or at the very least move in a different direction; unfortunately you don't. The last time one of our members here came back to us after finding god, your reaction was completely different simply because he was converting to Orthodoxy. Good to see you again. Have you returned to Orthodoxy? It seems a lot of former comrades in the region (and some in the Western world as well) are reaching back to traditional positions in order to fight against the reanimated corpse of Islam. In any case, welcome back. It doesn't take much to put two and two together. Admittedly I've noticed that a lot of western atheists have a rather biased view towards Islam particularly, claiming that it's only within Islamic communities that beheadings, torchings, stonings, etc. take place. The truth is that such things take place among poor communities everywhere in the world regardless of religious affiliation. Within the poorest Christian Latin American, African, and Asian communities you'll find daily examples of decapitation, chopping of hands, child molestation, stoning and every other barbarity imaginable. The lack of a competent police force along with poverty, ignorance, and destitution among the populace make lynchings and other medieval techniques a sad reality of their existence. Claiming otherwise is prejudice, and displays a lack of intellectual honesty. I've been beaten up many times as a youth by Muslims from Tripoli; forcing me at the time to become very close to young members of the Lebanese Christian Phalangist Party, which are the very same people responsible for the Sabra and Shatila massacres. By the time I got to university it became clear that the Muslims I came into conflict with were all from the most abusive and broken homes of the slums of Tripoli; while every other Muslim I studied with were good people. Unsurprisingly, today Tripoli is the poorest city in Lebanon; as well as being the only city in Lebanon with an Islamist following, albeit a weak one. Coincidence? I think not. Hardship breeds ignorance, which in turn pushes people to go backwards towards religious scripture where they can find solace, as well as a method of primitive governance. With America being the exception, you'll notice that the majority of people from the 25 richest countries in the world are areligious. Such a pattern is by no means an accident. As for religious scripture itself, well some people say that the best way to turn someone into an atheist would be to force them to read either the Bible or Quran word for word from beginning to end. With a minimum level of skepticism, the contradictions from one page to another within any one of these books would become glaringly clear, showing that these books are more of a compendium of ancient writings from different sources over the span of several centuries; rather than being any sort of clear and defined manifesto on how one should behave or be governed. This leads to the most biased cherry-picking. You'll find mercy of the highest order in the Quran stating that killing one human being is as bad as murdering all of humanity, while saving someone's life is as great as saving the world. While in the bible there are passages that praise a man who agrees to his daughters being raped so as not to offend God. That'll be my last post on religion ever, because I simply hate discussing religion. After having carefully read a sufficient amount of very critical posts authored by Comrade Gulper in other threads and forums regarding the Catholic Pope, the Eastern Orthodox and Roman Catholic Churches among several other denominations, I hereby retract and nullify all of my previous statements pertaining to classify and/or judge Comrade Gulper as being specifically or exclusively bigoted/prejudiced towards Muslims and Islam. On behalf of all the unbaptized babies whose souls are now creeping about on the floor of Hell for all eternity, I thank you. I'm a universalist. I don't believe in a literal Hell. Purgatory sure, there probably is an area for purgation. A loving God would not send someone to eternal torment. If universalism is not true, annihilationism (the wicked's souls are destroyed) is. Eternal torment is a monstrosity, and thankfully it is far from the only traditional theological position on the afterlife. Also, that "compliment" was hilariously backhanded, Yeqon. That wasn't my intention, neither was I trying to compliment him; but his posts have shown him to be critical of religion as a whole, and thus I felt obliged to take back what I said about him being prejudiced specifically towards Muslims. Now if someone felt the need to question his rationale on attacking religions the way he does is another matter, and not something I want to get into because I'm rather indifferent towards the subject, besides I think I've made my position on the whole matter clear enough in my previous posts. I'll only add that the hate as opposed to the indifference that a lot of western atheists cherish is something novel to me. The atheists I've been personally in contact with neither hated nor felt that the religions of the modern world were a threat worthy of attacking incessantly, and thus never even felt the need to convince people to apostatize. That is also my position as an atheist, with the added detail whereby I believe that religions can be utilized as a force of good. I also recognize the fact that religions are not going anywhere whether I like it or not, and thus have no choice but to work with religious organizations in order to get things done. It's a sentiment which was also shared by soviet communists. Regardless, it's extremely important to remember that as an atheist there is a whole lot of things pertaining to religions that I disagree with, one of many being the religious indoctrination of minors. It's especially important in real life because people often mistake my defending of people's rights to religious practice as some kind of hidden religious tendency, whereby I've had to actually turn down a number of proposals from people asking me to be their children's Godfather, offending them in the process. They immediately assume that since I was baptized and raised Catholic that I am in fact a believer in the whole thing, go figure. Eternal torment is a monstrosity, and thankfully it is far from the only traditional theological position on the afterlife. Look, I know I'm out of step with a lot of the prevailing opinions here. All I know is that I have one existence - minuscule and cheesy as it may be - and when it's over, it will dissolve like sea foam into nothingness. I'm not pleased with that prospect. It seems wasteful and unjust. But I find it much worse to pretend that whatever people call a "soul" will spring forth from my collapsing bones and go to meet a Maker whose nature I can't grasp, whose purposes seem perverse and nihilistic, and whose methods seem utterly arbitrary and bloody minded. I don't see this as a hopeful prospect. In fact, it seems to add insult to injury. Ain't no cure for the summertime blues. I don't have the temperament for it. I prefer to wield what little control I actually possess over my own senses. I'm an empiricist and materialist, which is probably why I find myself unable to yield to the feeling of childlike trust that is required to be religious in the first place. You show me a miracle and I'll first wonder how it was put together, and then wonder what the political and economic circumstances were that occasioned the thinking behind the act. I don't do faith. Ever. In which their fancy floats and drifts. In this rain cloud a canopy. Only when he's put to rest. I am a standard Roman Catholic Christian. Probably an extreme rarity on these kinds of boards. What is a standard roman catholic? Also, you said that you are a RC christian. As opposed to a RC non-christian?